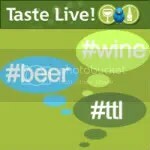 *Disclaimer: I received this wine as a sample from the importer. 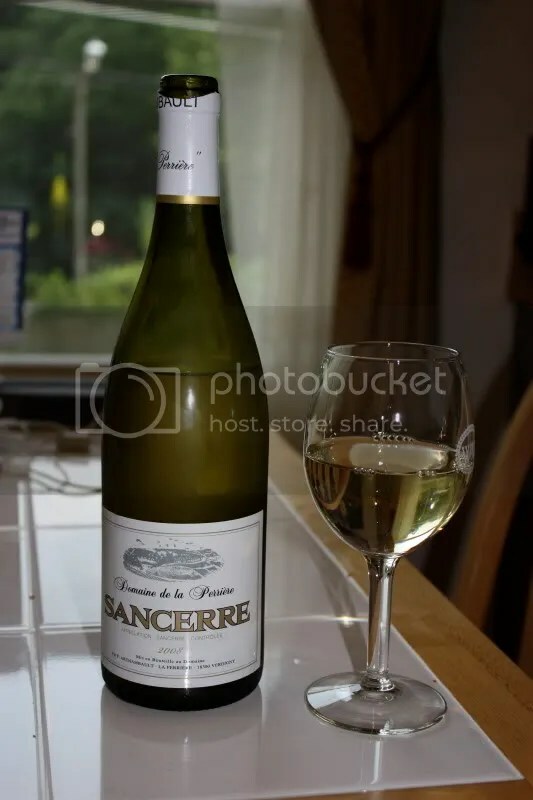 A few weeks ago, the folks at Pasternak Imports sent me a box of Sancerre to try for the summer months. Since the summer keeps going and going and going in DC, we’ve been enjoying them and will continue to do so in the next month or two. (Any bets on when summer in DC is going to bow out? I’m ready for fall!) 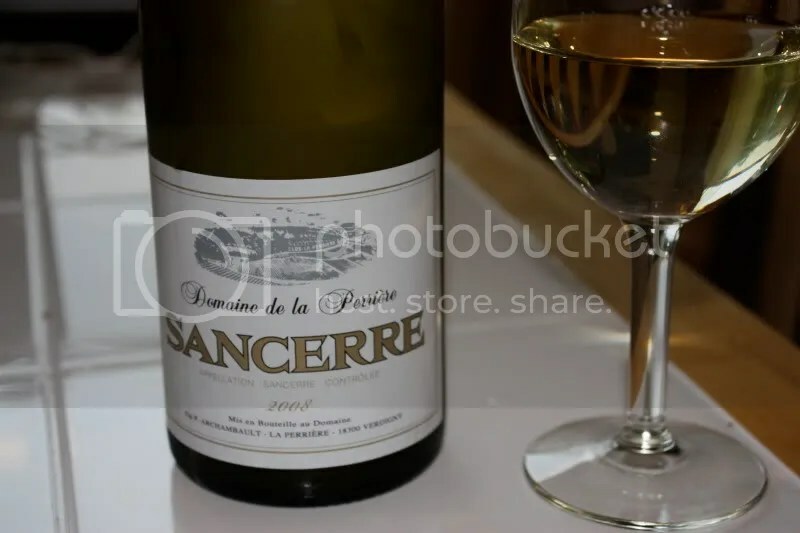 The other evening we pulled out the 2008 Domaine de la Perriere Sancerre. It clocked in at 12.5% alcohol by volume, had a real cork closure, and retails for around $23. Both Matt and I were delighted with this wine. A beautiful nose and a lovely palate with great acidity made this wine the perfect accompaniment to the hot summer evening. On the nose I got lemon, pink grapefruit, a sweeter smelling citrus, pineapple, tropical notes, and melon. In the mouth I found some more of the sweet citrus that I couldn’t quite put a finger on, pink grapefruit, sweet lime, white peach, tropical notes, and a finish of grapefruit and saline notes. Excellent.